The US just approveda bill banning soaps, toothpastes, and body washes that contain tiny plastic particles called microbeads. Earlier in December, the House of Representatives passed a bill phasing out the environmentally harmful beads beginning July 1, 2017. On Monday, President Obama signed it into law. California's State Assembly approved a measure to ban the beads, which are touted by big companies as skin exfoliators, this summer. In New York State alone, 19 tonsof microbeads are washed down the drain each year, according to the Wildlife Conservation Society, where they collect harmful pollutants like DDT. In waterways, fish and other wildlife mistake the tiny scraps of plastic for food. From there, the beads are integrated into the food chain. 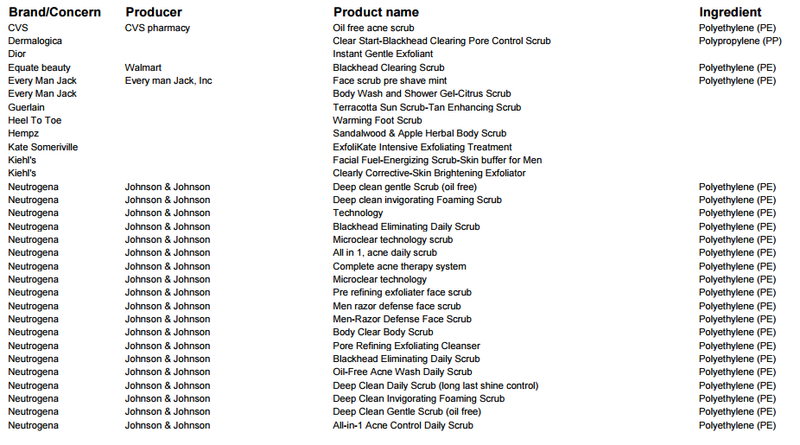 "Microbeads are highly damaging to the natural environment and the wildlife that live there. Because natural alternatives already exist, a ban on their use in personal care products makes perfect sense," the Wildlife Conservation Society says in a press release. A 2013 study found as many as 1.7 million of the tiny plastic particles per square kilometer in Lake Erie, one of the bodies of water in the Great Lakes Region where many of our debris end up. 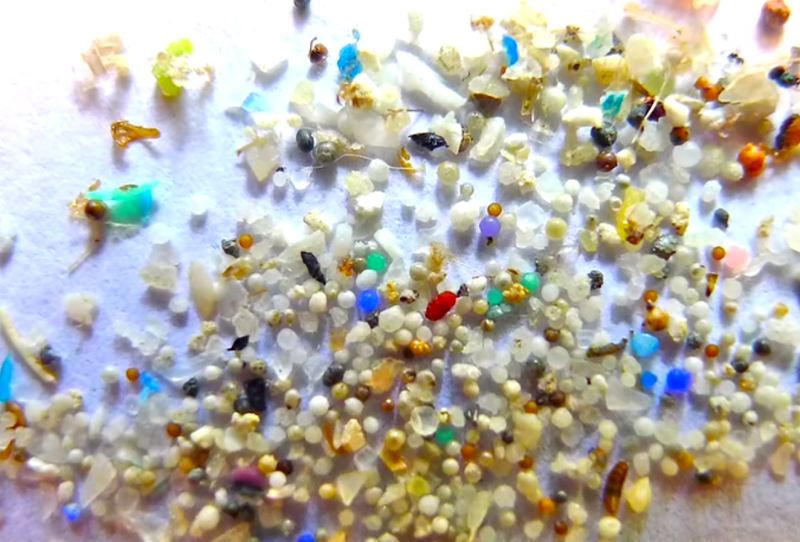 Because they're so small, microbeads don't get filtered out by wastewater treatment plants. Instead, they get discharged directly into rivers, lakes, and the ocean. There, fish, turtles, and other aquatic wildlife feed on the tiny bits of plastic, which to them are often indistinguishable from food. But rather than simply getting eaten and discharged by the animals, the microbeads become lodged in the animals' stomachs or intestines. When this happens, the animals often stop eating and die of starvation or suffer other health problems. 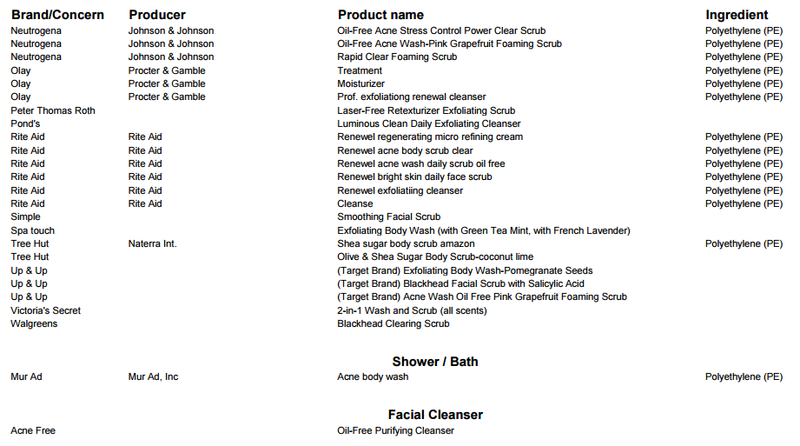 The International Campaign Against Microbeads in Cosmetics has compiled a helpful list of the products that likely contain microbeads.